Utilizing a rail siding warehouse has numerous benefits. While delivery companies, truck rentals, and truck ownership are all viable delivery options that may offer your company some perks, they are not always the most reliable or well-organized way to make shipments. Late pick-ups, troublesome weather, and poor maintenance are all potential problems that could affect your picking and shipment schedule. While these potential issues may not seem like such a terrible problem now, late deliveries and angry customers may change your mind later down the line. 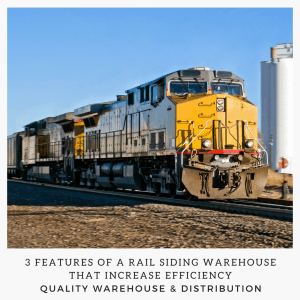 If you are wondering how a rail siding warehouse can increase efficiency, then consider these three points. Location, location, location. Let’s face it, when it comes to any business in any industry, location truly matters. Luckily, for rail siding warehouses, their delivery option puts them in a prime location to load deliveries and send them on their merry way. This added benefit of being located directly next to your product’s mode of transportation offers workers the convenience of loading quickly and efficiently. With a rail side warehouse, workers are less strained with the occupation of packing multiple deliveries due to the railways proximity to the warehouse. More room to work with for quicker deliveries. Delivery companies tend to pride themselves on speedy deliveries and the capability to haul large amounts of product in one shot. While this may certainly be true, delivery trucks are no match for the space available for a freight shipment. Since freights can carry a substantial amount more than that of a truck, this means less deliveries for your warehouse to handle. In fact, according to the Tennessee Tombigbee Waterway, while one rail car can carry 100 tons of cargo, a large semi-truck can only carry about 26 tons of cargo. 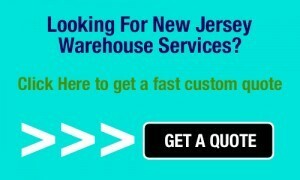 Furthermore, although delivery companies like FedEx and UPS truck may arrive at your site at a consistent time each day, scheduling a pickup is always an option. With this level of leniency available, warehouse workers may become less engaged in their work, knowing that the option of a later delivery is possible. With a rail side warehouse as the only delivery option, workers are more likely to stick to a strict schedule and work more efficiently to have inventory ready for loading to avoid delays. Weather won’t stop a shipment. One huge downside to delivering via truck is when dealing with troublesome weather such as snow or rain, roads may not be clear and shipments may be cancelled as a result. Since railways rarely close and are typically functional through even the most dire weather conditions, deliveries are always carried out promptly, and changes to shipments will not throw your warehouse staff into a panic. Although having emergency plans in place to handle such a catastrophe is always recommended, the likelihood of having to face delays due to a railway closing is almost non-existent. If you are worried about weather conditions putting a stop to your deliveries or if you live in an area with consistently poor weather, then a rail side warehouse may be your best option to avoid disaster.